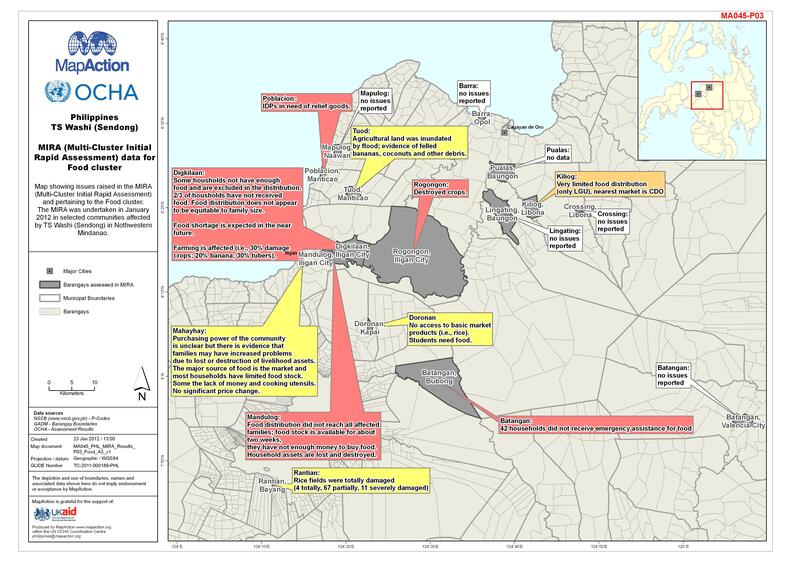 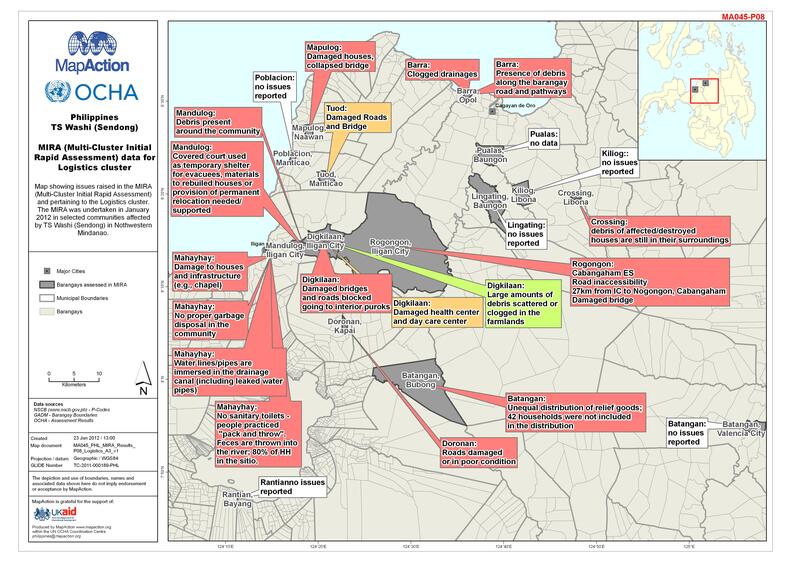 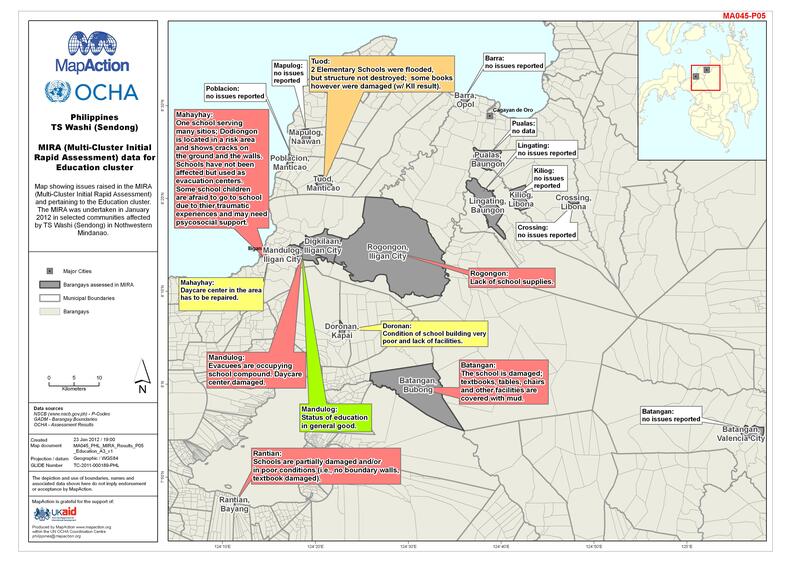 The map shows the Status of Evacuation and Transition Centers as at 24th January 2012 and the number of damaged houses as at 20th January 2012. 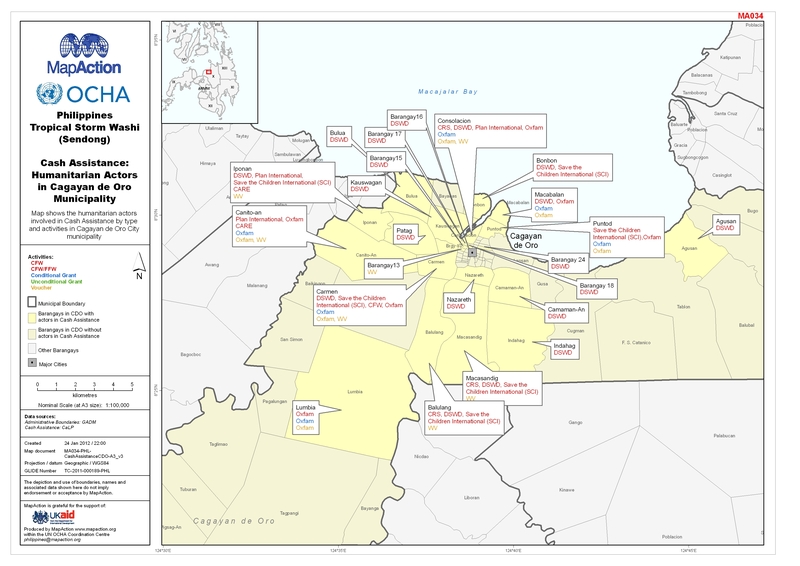 Cost and source of monetary assistance to affected communities as of 22 January 2012. 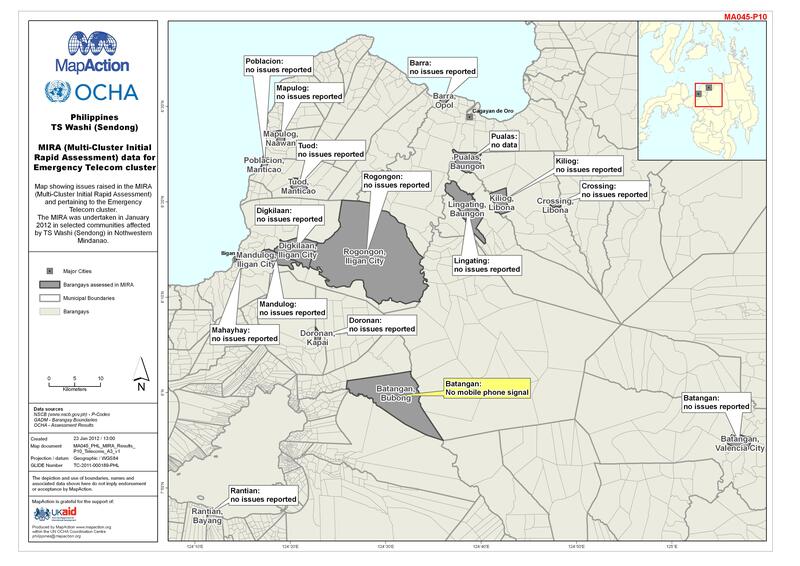 Health issues reported by the Multi-Cluster Initial Rapid Assessment, January 2012. 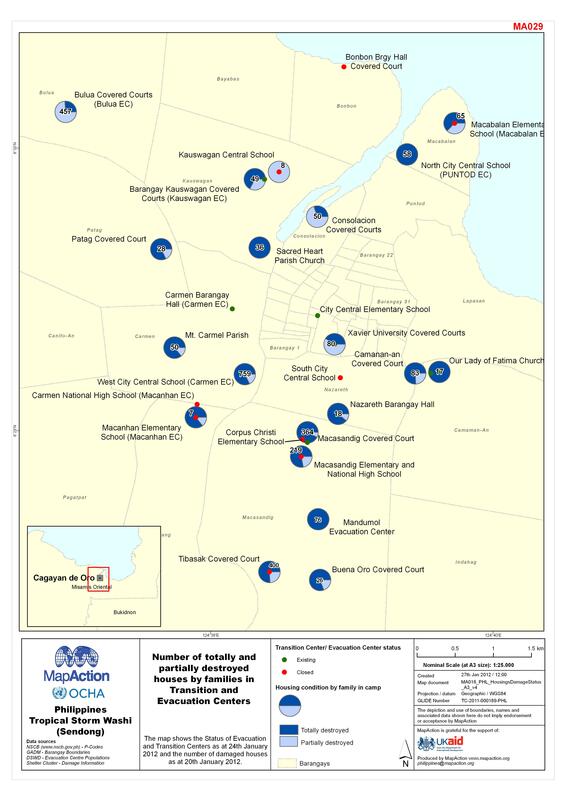 Status of schools and education reported by the Multi-Cluster Initial Rapid Assessment, January 2012. 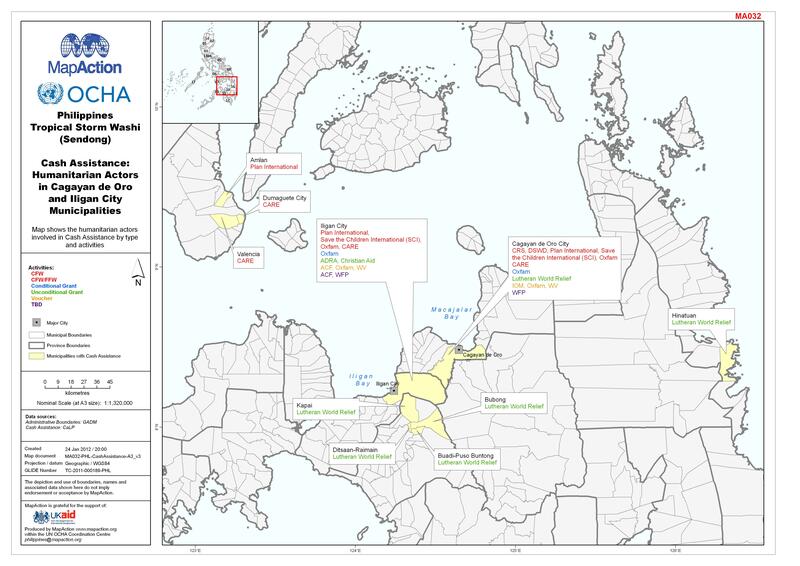 Issues of food availability reported by the Multi-Cluster Initial Rapid Assessment, January 2012. 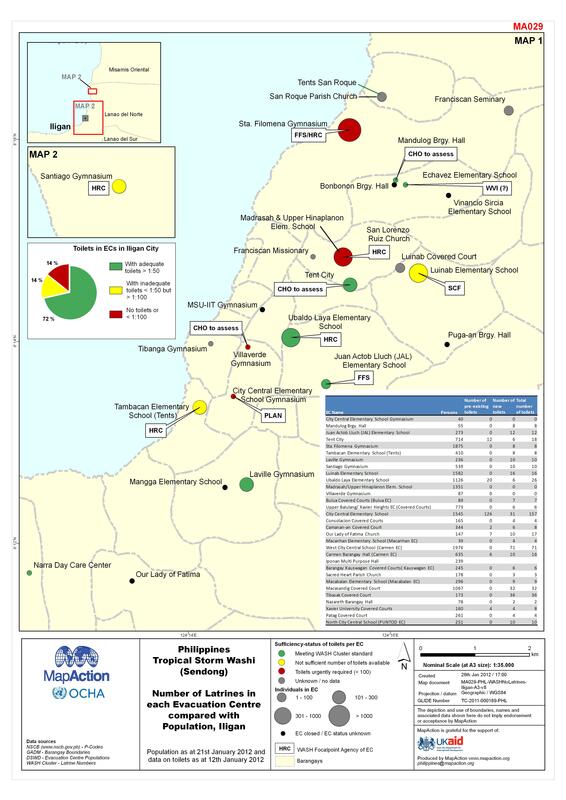 Water, sanitation and hygiene issues reported by the Multi-cluster Initial Rapid Assessment, January 2012. 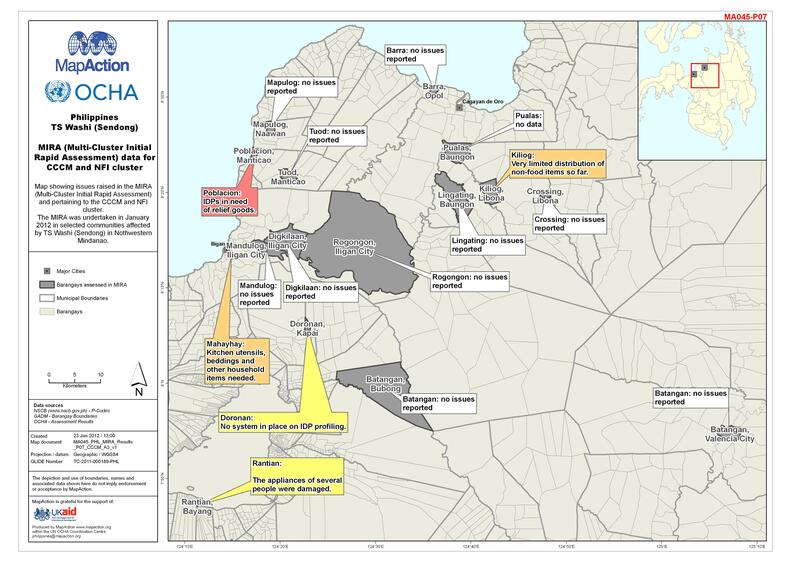 Issues of camp management and non-food items reported by the Multi-Cluster Initial Rapid Assessment, January 2012. 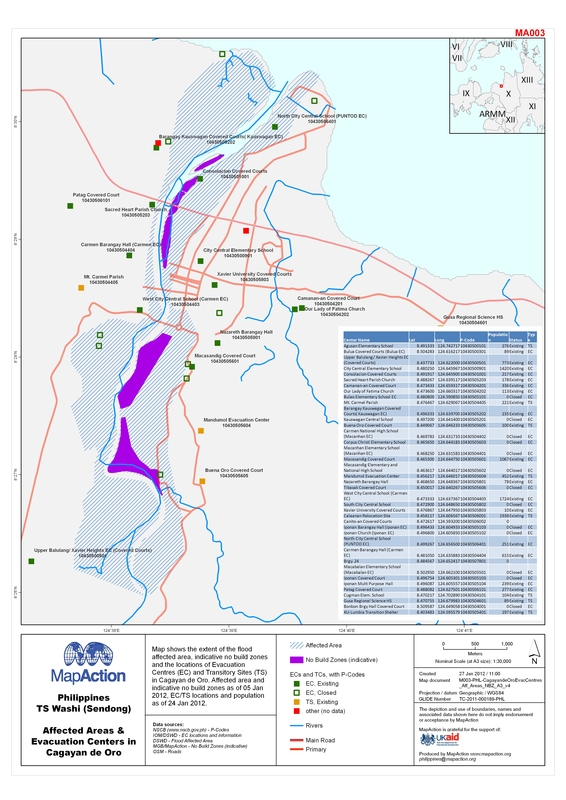 Map shows logistics issues reported by the Multi-Cluster Initial Rapid Assessment, January 2012. 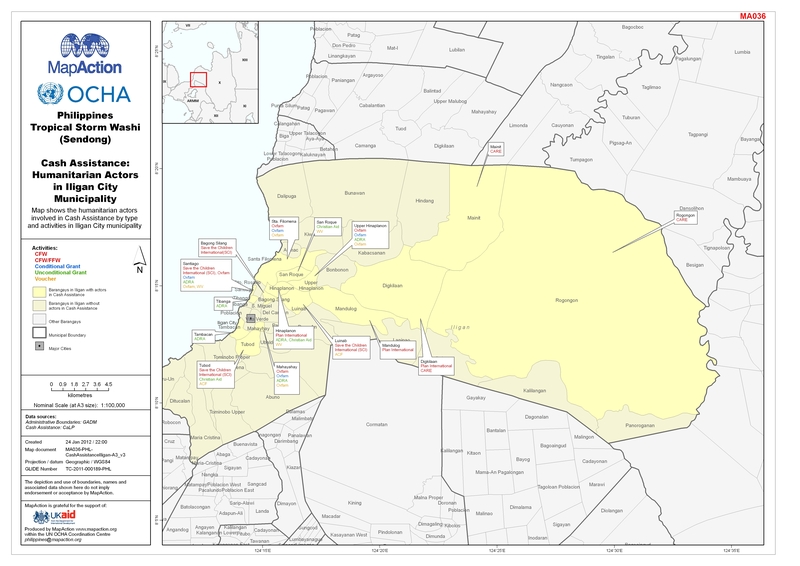 Nutrition issues reported by the Multi-Cluster Initial Rapid Assessment, January 2012. 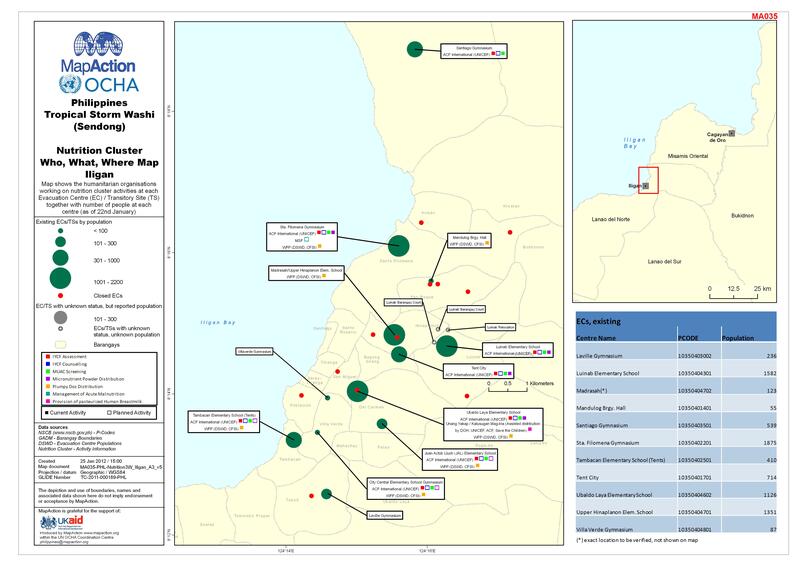 Telecomms issues reported by the Multi-Cluster Initial Rapid Assessment, January 2012. 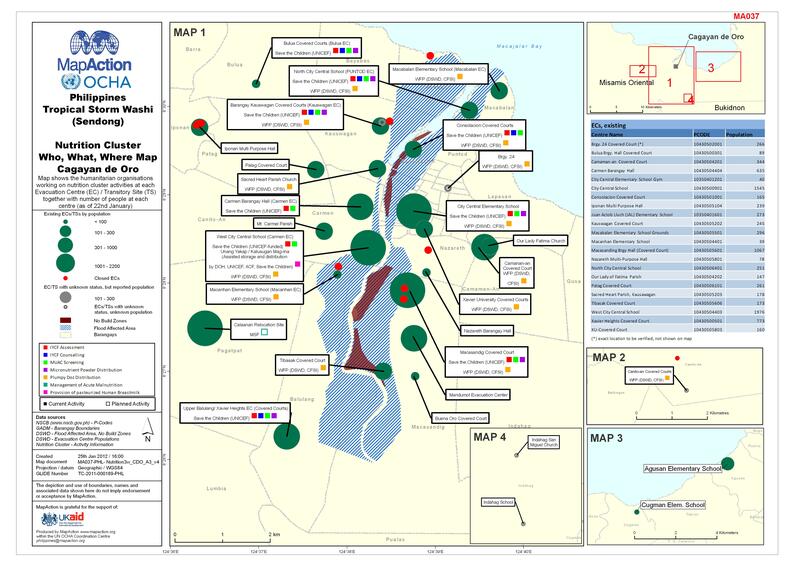 Security and protection issues reported by the Multi-Cluster Initial Rapid Assessment, January 2012. 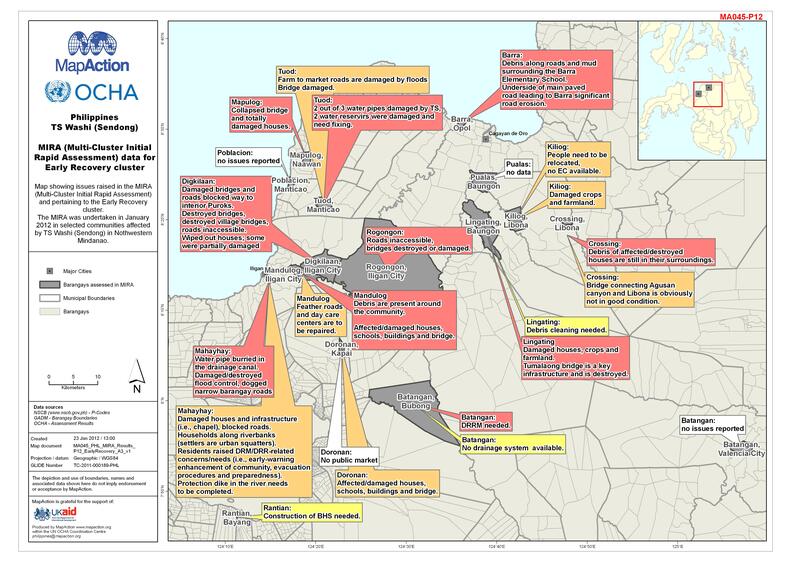 Issues relating to the early recovery phase reported by the Multi-Cluster Initial Rapid Assessment, January 2012. 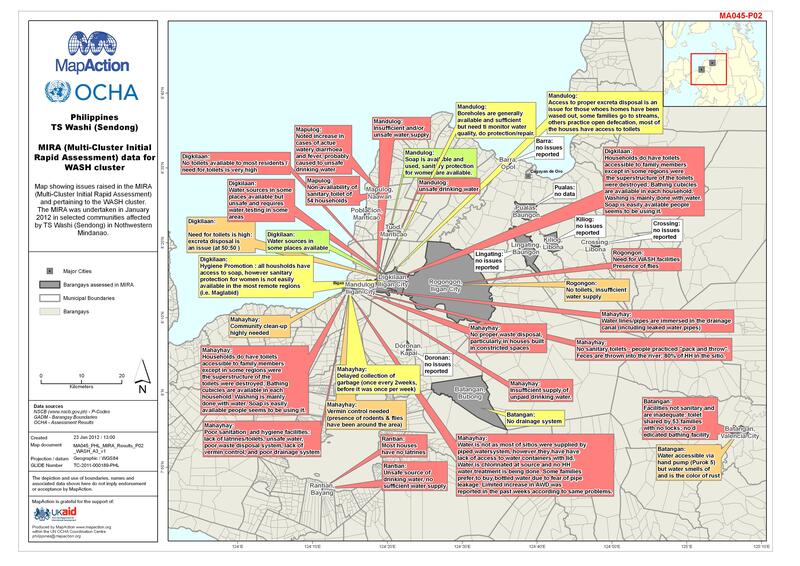 Humanitarian actors in Iligan City Municipality. 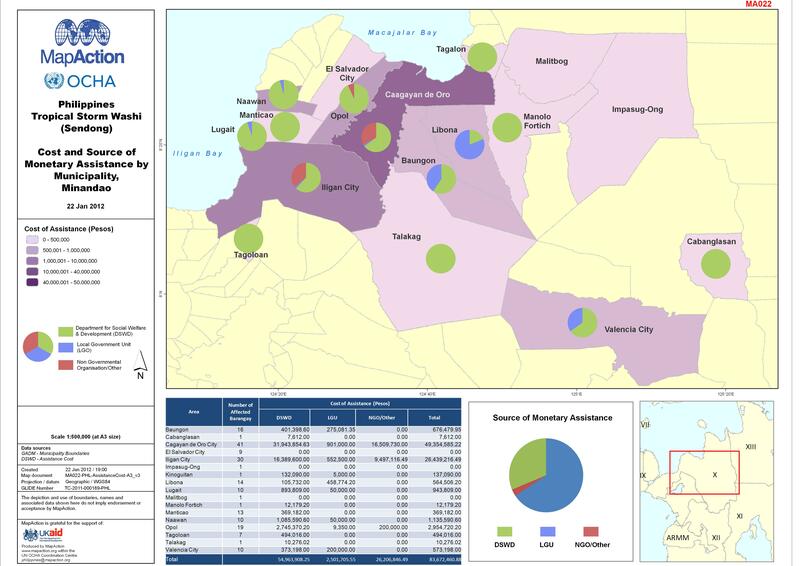 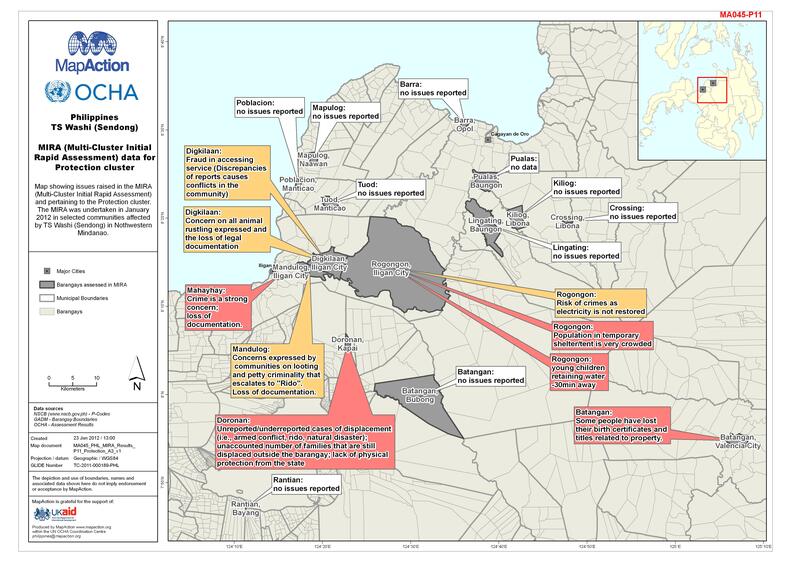 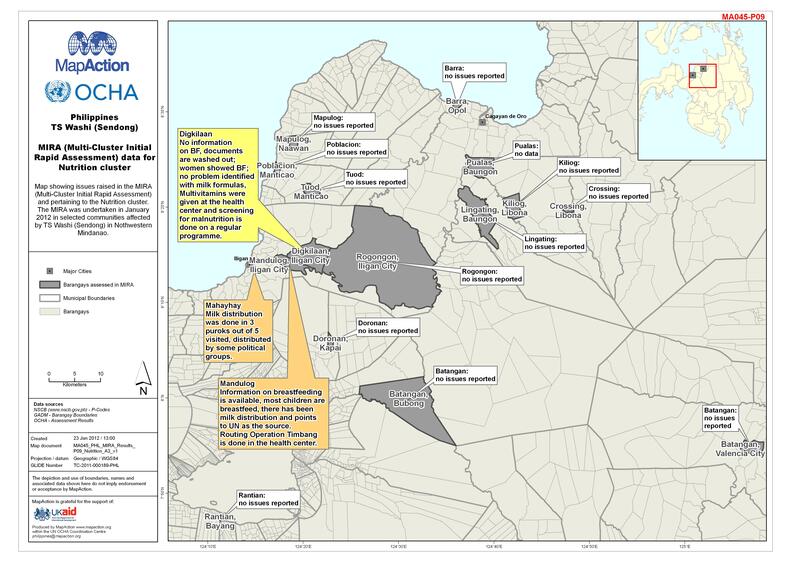 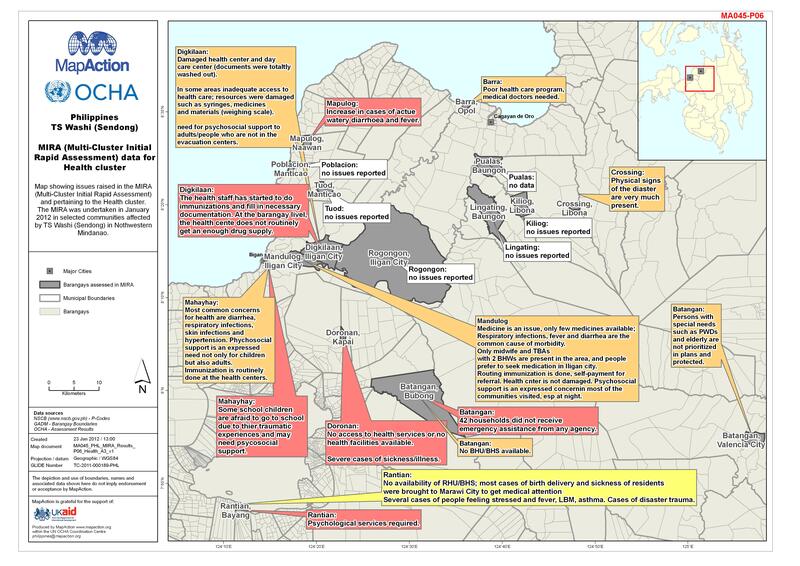 Map shows the humanitarian actors involved in Cash Assistance by type and activities in Iligan City Municipality.